Needing to get away from the computers for an afternoon, we collected our friend György Szimuly and went to Rye Meads RSPB reserve in Hertfordshire. The plan was to look for Jack Snipe, but as with all best laid plans, it didn't work out that way, however we got a bonus bird new for the WQ list in the form of Green Sandpiper. Not earth shattering, but they all count. The weather was very dull and the bird remained distant for the short time it was on show, so we were unable to photograph it. Here's one we photographed earlier this year. 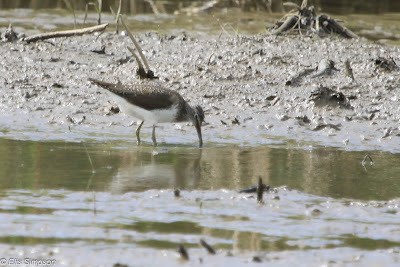 A count of the lapwings came to something in the region of 140, Szimi and I could not agree an exact number. 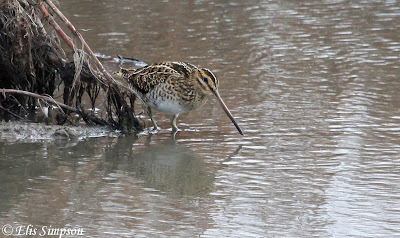 The only other wader seen was Common Snipe, there were two of them. So the WQ list returns to 53.